Microsoft knows that Halo is a system seller. That’s why last year at E3 we saw the TBD titled Halo get a tease. But without knowing when the next Halo would be coming out, they needed to keep the appetite wet for gamers before the hoopla of this year’s E3 kicked in. What better way to do so than open up preorders to the world. If you head to Amazon you can place your preorder on Halo 5: Guardians which is set to ship by end of year 2015 (no doubt, this will be more formally announced with an actual release date at E3 or at least a quarter). 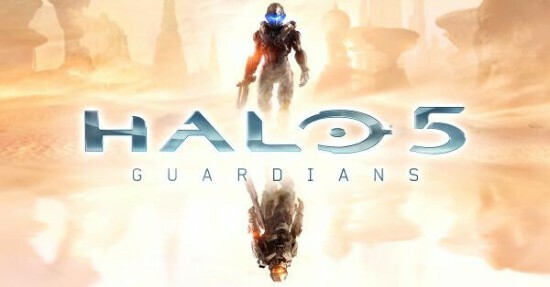 There are two things that stand out about Halo 5: Guardians based off the current cover artwork. The first is the name. Since Halo: Combat Evolved, this is the first proper Halo title to have a suffix attached to it. This leads one to believe it is either because they feel just another number isn’t enough of a differentiator to keep motivating new purchases or these new Guardians are that essential to the plot. Yesterday, Microsoft dropped what they were hoping would be a bomb, but has truthfully only ended up being a cause for more contention in the console war. 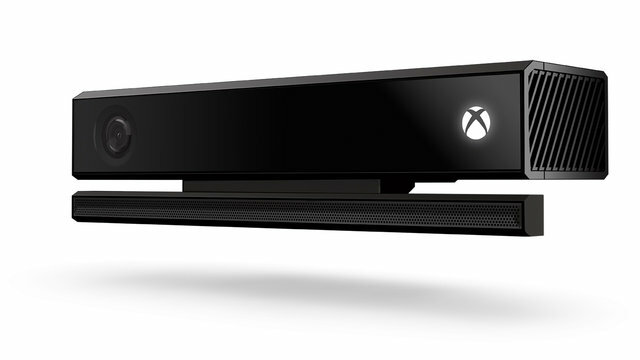 After about six months of being outsold by the PlayStation 4, Microsoft has announced they will be releasing a Kinect-free version of the XBox One. Hitting shelves on June 9th, this will be just in time for the E3 frenzy and most likely hope to capitalize on new titles being announced at E3 bringing more popularity to the system. It will also drop the price to $399. Instead of people being happy about the new lower price, the negative backlash came. Sony fanboys decried the move as desperation. While it can be said that Microsoft did need to do something to put the console on even ground with the PlayStation, it wouldn’t be an act of desperation. Microsoft listened to the feedback and instead of dropping the price and losing money due to cost, they removed the big elephant in the room that was associated with that higher price point. Had they kept the Kinect and dropped the price or dropped the Kinect and lowered the price below the $399 mark before Sony had enacted any price drop at all on the PlayStation 4, that would have been an act of desperation. Almost four years ago, a fan made Mortal Kombat short made its way online which lead to both a resurgence in interest in Mortal Kombat and eventually two seasons of Mortal Kombat: Legacy which lived on the Machinima YouTube channel. While there were some hiccups in the storytelling and even continuity between seasons, no one could argue that Machinima put major promotion behind the series and laud its success. Now, in a world where you’ll seemingly never see Street Fighter vs. Mortal Kombat on consoles, MK’s age old nemesis finds its way too to the Machinima channel with Street Fighter: Assassin’s Fist. Backed by Capcom and Honda (which still leaves one’s head reeling), Street Fighter: Assassin’s Fist will debut on the Machinima channel on May 23rd. The narrative will follow series’ favorites Ken and Ryu in their training under their master Gōken before the events of the world warrior tournament come to pass. As seen in the trailer, Akuma will also make his way into the series and will actually be played by the show’s creator Joey Ansah. In addition to living on the YouTube channel, Content Media says it will also bring it to TV, on-demand, DVD and Blu-ray. Only a few weeks after Disney decided it was time to shoot a volley in the smart toy war by introducing the Avengers to Disney Infinity, Activision has fired back with a premiere for the latest Skylanders sequel. Again, focusing on innovation with gameplay implications, Skylanders Trap Team is coming to systems in October. As you’ll see in the trailer below, Skylanders Trap Team introduces a new element to the series. It doesn’t take a genius to figure out this means traps. But it isn’t just a matter of trapping defeated foes. This game encourages players to take those villains and use them for good. 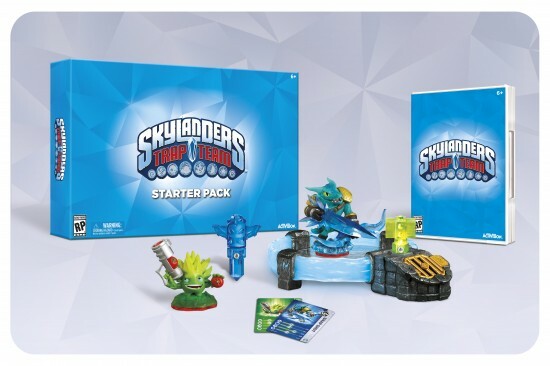 Boasting 60 new Skylanders and 40 trappable villains, this could be the largest release of Skylanders to date. It’ll be interesting to see how the traps work but it the trailer hints that specific traps work on specific enemies which means to catch them all, you have to buy them all too. How they are packaged will be interesting though. Skylanders may come paired with a trap or maybe a trap pack will be created with four or five traps sold together. Regardless, Activision has just renewed their license to print money. It’s one of those things you would have figured would be a bigger deal but two weeks later and there hasn’t been a peep heard about it. Maybe I am running in the wrong circles or it really is telling of the popularity of Disney Infinity (or lack there of) but this should have been bigger news to the gaming and geek worlds. 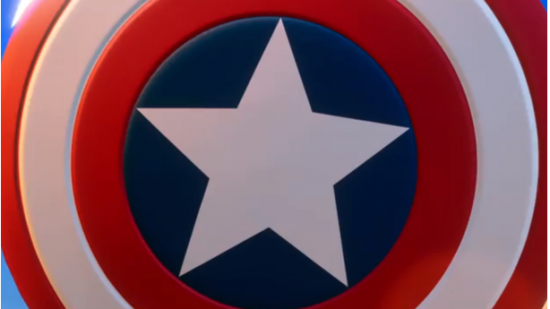 Marvel has unleashed a trailer on their YouTube channel that gives a pretty good indication of a certain star spangled super hero making his way alongside the cast of Disney Infinity. Without getting tacky and talking about the “infinite” possibilities, it is pretty cool to hear this as one of the more public facing interactions between Disney and Marvel since the acquisition. For those who don’t know, Disney Infinity is a video game that uses smart toy technology similar to that of Skylanders where players place figures on an e-reader stand which causes the character to appear in game as well. This upcoming expansion of characters will be one of the first times where a player can have Marvel characters interacting with those of Disney in Disney worlds as well. WonderCon 2014: Fox Presents ‘X-Men: Days of Future Past,’ ‘Maze Runner,’ and More! On day two of WonderCon, Fox did its best to take over the convention in Anaheim. 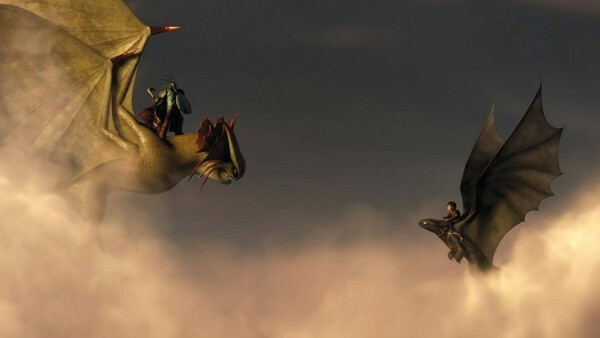 The studio showed footage from several of its upcoming films and politely remained mum on Director Bryan Singer’s recent legal troubles. The clip from X-Men: Days of Future Past, which included a faceoff between Iceman and Sunspot, certainly excited audiences in the Anaheim Convention Center’s Arena. Fox slyly avoided audience questions by saving X-Men to the end of the presentation. In truth, fans had already gotten their fill of footage and Q&A from the other movies’ cast and crew. Perhaps trying to answer the YA smash hit The Hunger Games, Fox now has its own teen post-apocalyptic movie in The Maze Runner. Director Wes Ball and author James Dashner were both inspired by Ender’s Game, Lord of the Flies and Lost when creating The Maze Runner and it showed in the brief but thrilling preview seen in Anaheim. 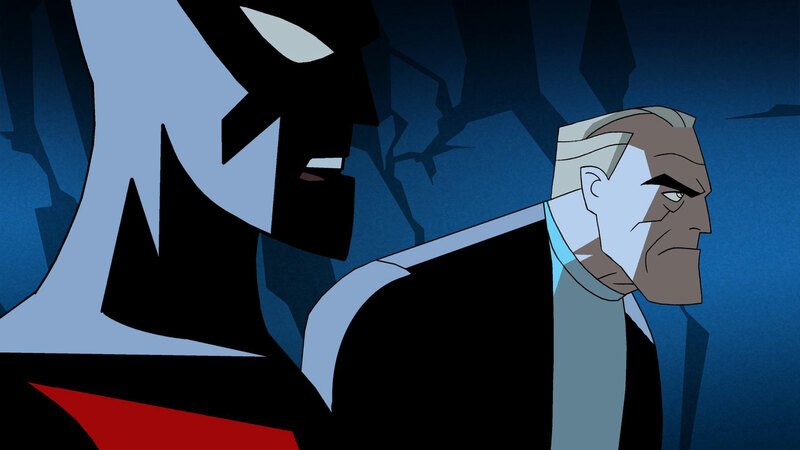 Darwyn Cooke, the writer and artist of Batman Beyond, was commissioned to make this short. Batman fans were surely notice the Batman costumes from throughout the Caped Crusader’s history, including Adam West and the original comic book design by Bob Kane. This minute and 15 seconds was definitely a reminder of the genius of Batman Beyond and a great way to celebrate The Dark Knight’s 75th birthday. The short airs on TV following Teen Titans at 6:30 p.m. on Wednesday, April 23, on Cartoon Network. Take a look after the break. 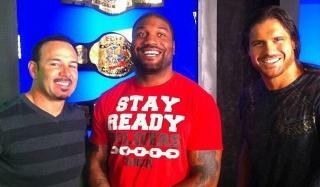 While you might be able to figure out a logical connection between former WWE stars John Morrison and Chavo Guerrero aligning with Rampage Jackson, things get a little more interesting when you consider the other half of this muscled menagerie is Richard Hatch of Battlestar Galactica and the Winner Twins. But it actually makes sense. One thing people don’t realize is that while the brutish brawlers, the prince of parkour and the youngest of the Guerrero are all former world champions, they all also have a weakness for sci-fi. It only makes sense that they’d make their announcement at WonderCon, the sister con to the epic Comic Con International, later today. While we do know that it will go down in Anaheim, CA at 7:30 in Room 300DE, that’s where our information runs out. So far, Morrison, Rampage, Chavo and Hatch have all kept tight lipped about any further details. They may be this generation’s Jackass but they aren’t yet a household name… yet. 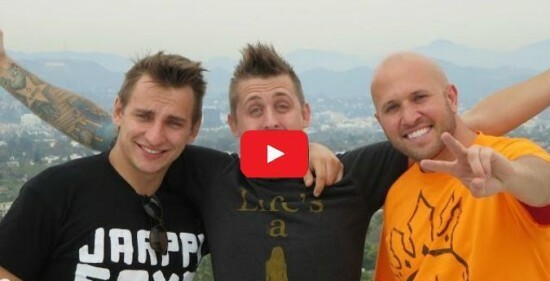 Vitalyzdtv, Roman Atwood and Dennis Roady have about 10,000,000 subscribers and have gotten close to a billion views on their YouTube channels but the trio of pranksters aren’t satisfied with just being on top of the YouTube prank world. They want something bigger. And definitely a bigger screen. X-Files fans know “the truth is out there” and now they can find it themselves. IDW Games announced today the upcoming release of The X-Files board game. Designed by Kevin Wilson, best known for Arkham Horror and Civilization, The X-Files board game uses material from the first three seasons of the TV show. Players team up in groups of two to five to investigate strange phenomenon and battle the “Monsters of the Week.” They will also fight against another player who controls the Cigarette Smoking Man and the Syndicate. Gallery and comic book artist menton3 provided both art direction and the box art for the game. The X-Files board game, made in collaboration with Pandasaurus Games, will be available this July at the suggested retail price of $59.99.